PBG's Legend of Zelda Animated SeriesCartoon Episode 1 If you're new, Subscribe! ► http:bit.ly1CaGyoONEW Exclusive ZM Shirts! ► http:theyetee.compeanutbuttergamerPeanutButterGamer takes a gander at the oft criticized Legend of Zelda Cartoon. PBG Zelda Playlist! ► https:www.youtube.complaylist?list=PL8FADB9EC55E10CADGo here! 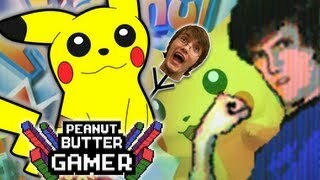 - http:normalboots.com----------Follow me!http:www.facebook.comPeanutButterGamer http:twitter.compeanutbuttergmr http:peanutbuttergamer.tumblr.comPBG theme: "Insert Title Here" by wilidacious on NewGrounds Audio Portal!